Lord Huron is an American indie folk band based in Los Angeles. The group's debut album, Lonesome Dreams, was released in 2012 on Iamsound in the US and Play It Again Sam in UK and Ireland in January 2013. The band released their second album, Strange Trails, in April 2015. The band's name was inspired by Lake Huron, the lake which band founder Ben Schneider grew up. 'Lord Huron invites you to stare into the abyss this spring with the release of their third full-length album, Vide Noir. Written and recorded over the past two years at Lord Huron’s Los Angeles studio and informal clubhouse, Whispering Pines. The album was mixed by Dave Fridmann (The Flaming Lips/MGMT) and engineered by Sonny DiPerri (Portugal. The Man, Animal Collective). Barry says: A brilliantly varied suite of thumping percussion, jagged guitar riffage, nuanced ambient interludes and neo-folk melodies, underpinned with a steadily growing melodic wash of ambience. 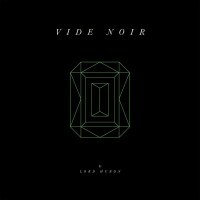 Vide Noir is a brilliantly compiled journey from start to finish.